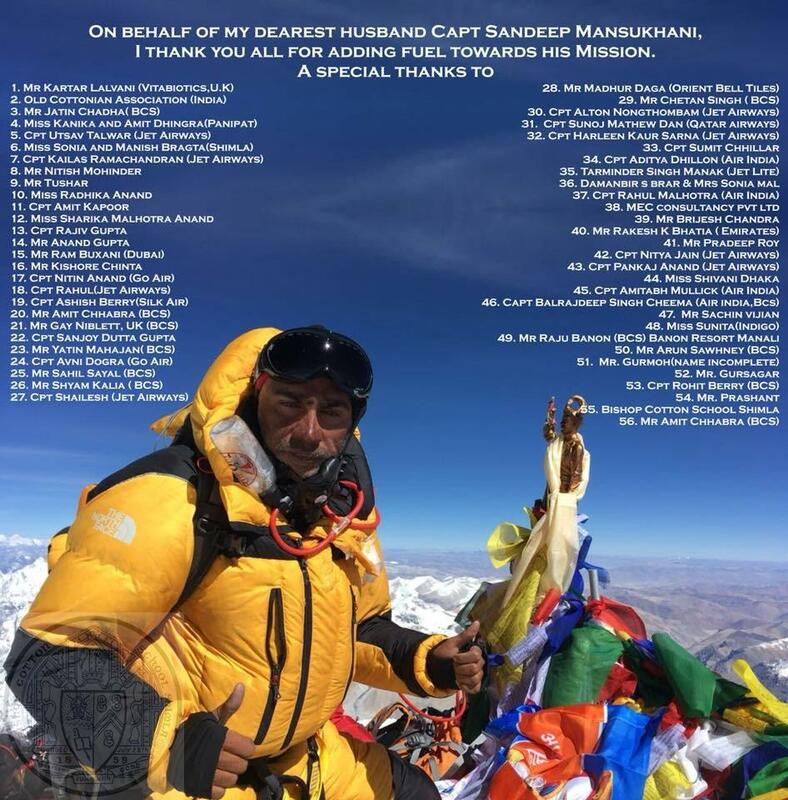 Sandeep Mansukhani reached the highest point on planet Earth – summit of Mount Everest at 8,848 mtrs / 29,029 ft above MSL – at 07:57 HRS on 21st May 2018. Congratulations! The flag of Bishop Cotton School Simla proudly held by Sandeep. This entry was posted in Articles, Events, News, Post, Spot Light and tagged 2018, Achievement, BCS, Mt. Everest, OCA, Sandeep Mansukhani, Spot Light on May 23, 2018 by admin. Capt. 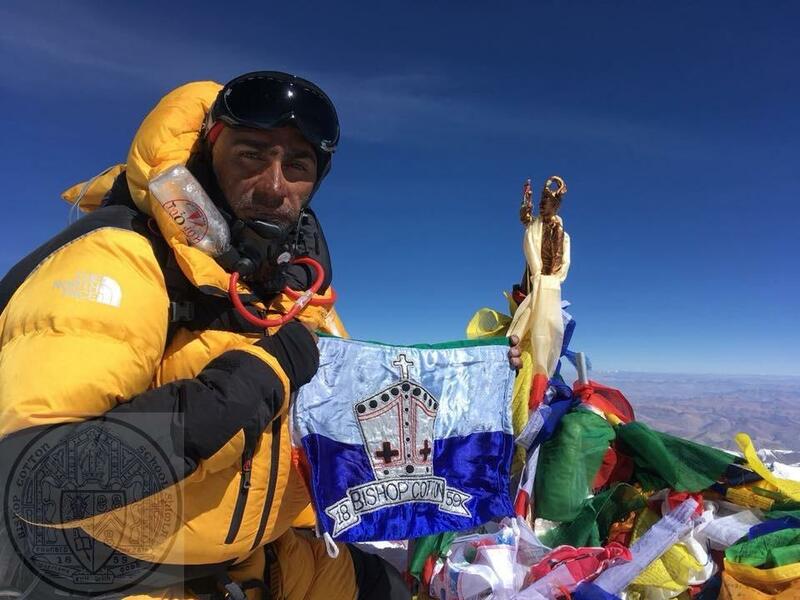 Sandeep Mansukhani scales Mt Everest! A proud moment for BCS and OCA. 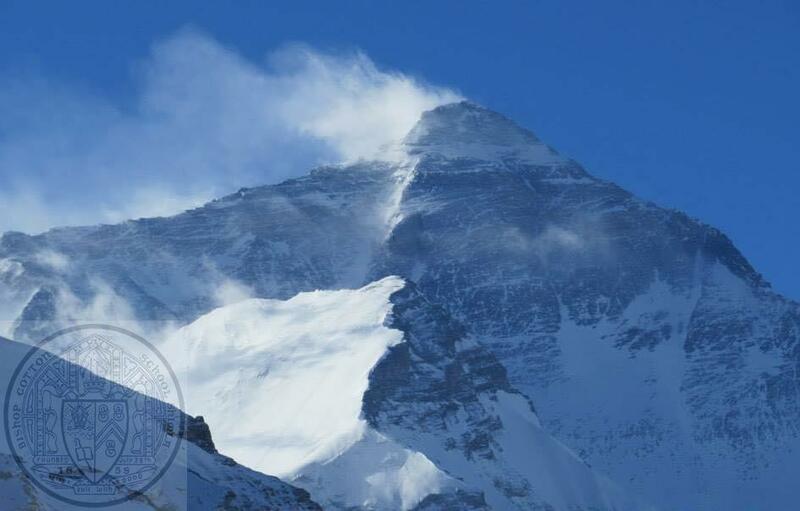 The first Old Cottonian to successfully summit Mt Everest! Congratulations! And YES he did it!!!!!!! 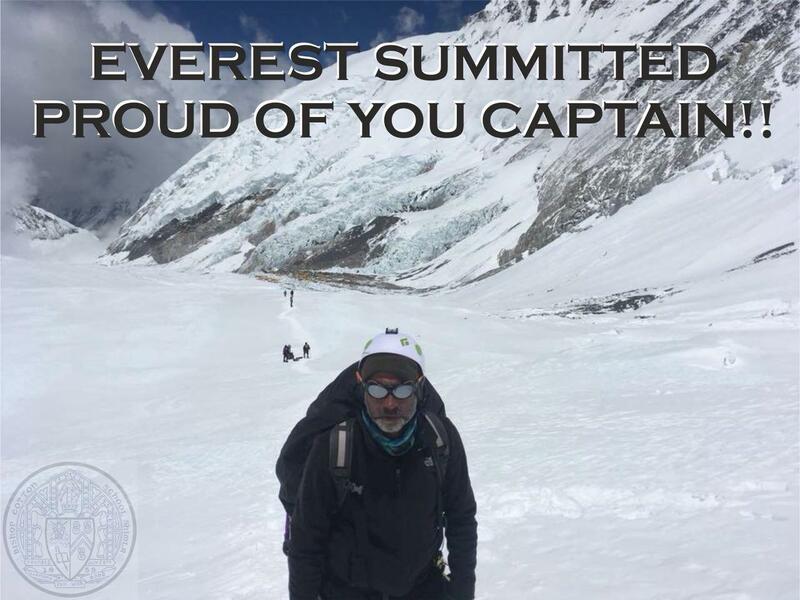 With His grace and countless prayers of all you lovely people, the holy Mt Everest allowed Capt Sandeep Mansukhani to reach its summit. He is blessed by Guru to be surrounded by such amazing and caring people. He is a first Sindhi, first commercial pilot and first Old Cottonian to reach the top of the world making us all proud. Just keep praying as the descent of Everest becomes very very critical with body losing all focus after doing non stop climb of 24 hrs in thinnest of air and barely eating anything. Will update u later in the day when he reaches lower camps. This entry was posted in News, Post, Spot Light and tagged 2018, Mt. 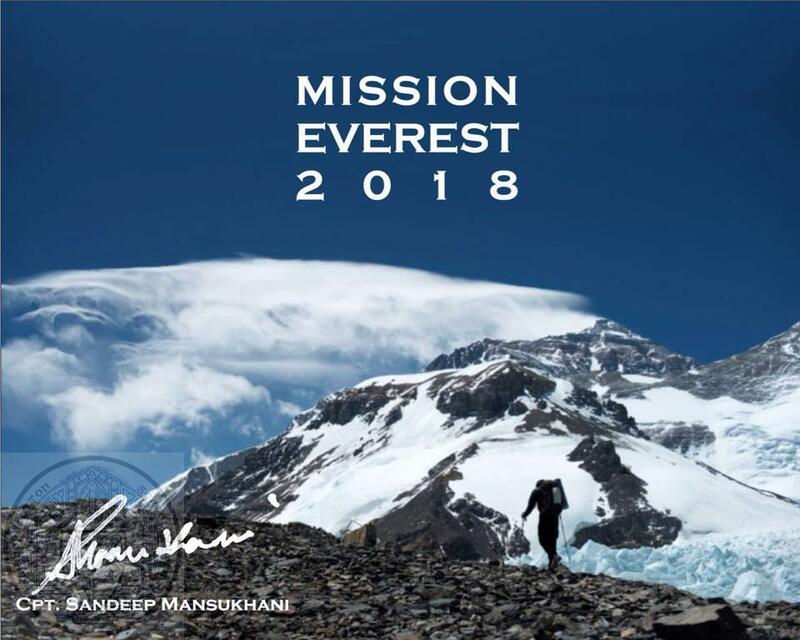 Everest, Sandeep Mansukhani, Spot Light on May 21, 2018 by admin. Finally the hour has come. All geared up….layers of inners under the downsuits….head torches flickering in the cold scary darkness as Capt Sandeep Mansukhani started climbing the steep and dark wall towards summit. No talks at all….just the sound of his own breaths. Unimaginably freezing cold increases the chances of frostbite and cerebral edema. I can imagine him kicking his crampons and taking one step ahead toward his dream summit. And what makes me so positive today is the messages I am receiving from so many loving people out there who are visiting temples, gurdwaras, doing prayers in their own ways for the safe accomplishment of Capt Mansukhani’s mission Mt Everest. I am so so thankful and grateful to you all. This entry was posted in News, Post, Spot Light and tagged 2018, Mt. 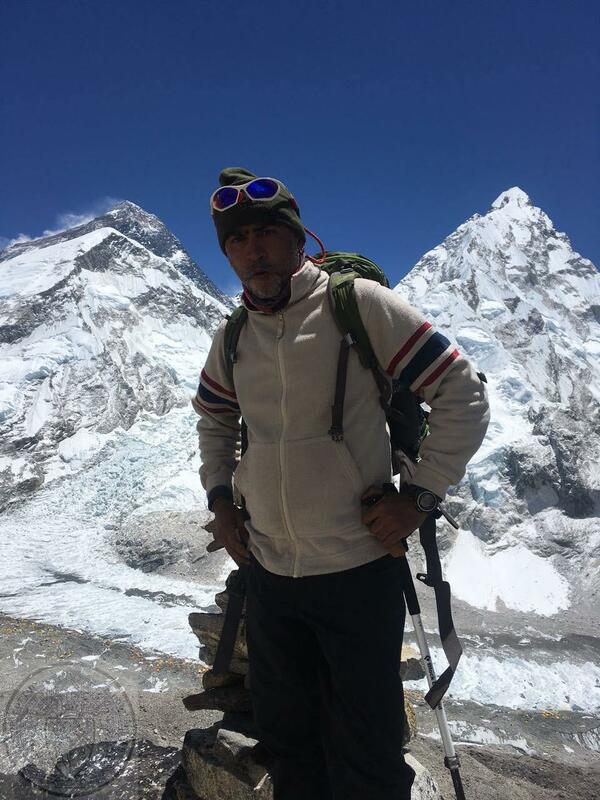 Everest, Sandeep Mansukhani on May 20, 2018 by admin.